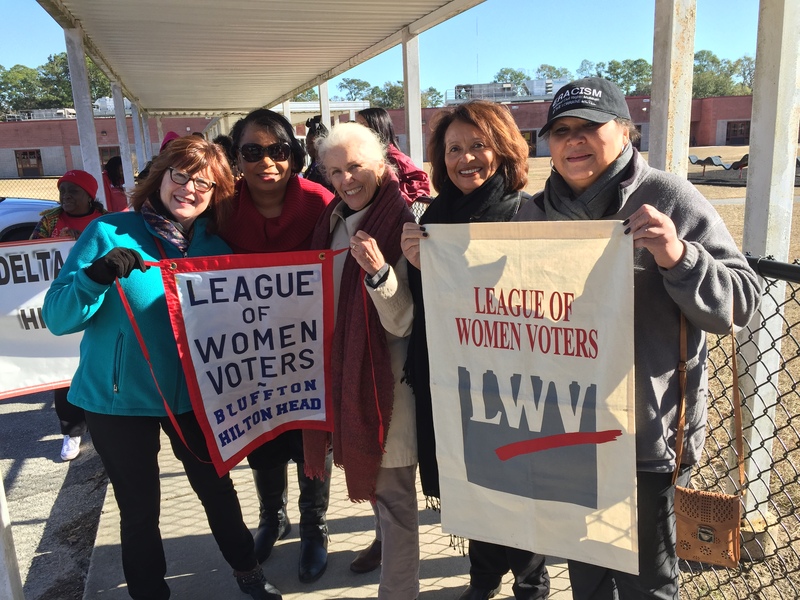 We want you to join the League of Women Voters. Everyone is welcome, age 16+. The League is not for women only! To become a member of the League of Women Voters of Hilton Head Island and the Bluffton Area, print the following PDF document and return it with your check as directed. Committee membership is key to the League's mission: Empowering Voters. Defending Democracy. Please consider volunteering in one or more areas below that interest you. thelighthouselwvhhiba [at] gmail.com (Contact us) to meet and work with others who share your passion! You will be contacted by the appropriate committee chair. Help increase visibility of the League via the media, Facebook, Twitter, our website, newsletter, and/or graphic design. Are you interested in how educational funding works in South Carolina, progress in eliminating the achievement gap between white and African-American and Latino students, tax credits and tuition vouchers, and other issues affecting our state and our local schools? Help monitor local and state education issues by participating in monthly meetings. Keep abreast of natural resources, land use and other issues affecting Hilton Head Island and the Bluffton area. Help develop and execute programs to recruit, welcome, orient, and engage members. Attend Hilton Head Island or Bluffton Town Council and Planning Commission meetings to keep abreast of local issues that may be of interest to the League. HHI: Town Council: 1st and 3rdTuesdays, 5 PM, Planning: 1stWednesday, 9 AM, 3rdWednesday, 3 PM. Bluffton: Town Council: 2ndTuesday, 6 PM, Planning: 4thWednesday, 6 PM. Keep abreast of state issues, such as redistricting, and mobilize voters in support of League positions. Help register new voters, plan and execute candidate/issue forums, and prepare voter guides/questionnaires.